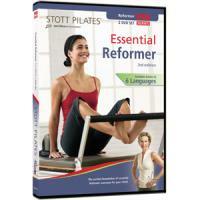 DVD - Essential Matwork, 3rd Ed. 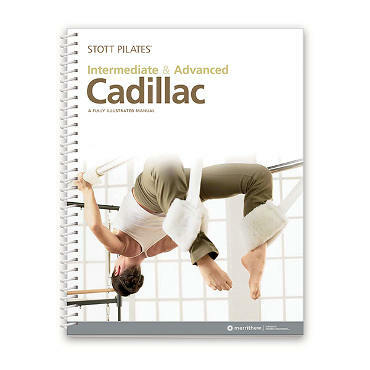 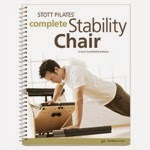 Build strength and knowledge from the ground up with STOTT PILATES’ renowned Matwork repertoire. 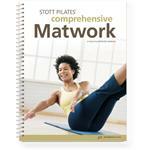 Matwork, the foundation of STOTT PILATES exercise, builds knowledge and strength from the ground up. Master Instructor Trainer Moira Merrithew works through an exercise repertoire that challenges strength and flexibility to create a strong and healthy body. 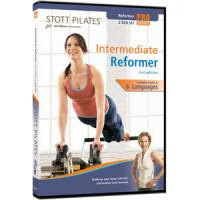 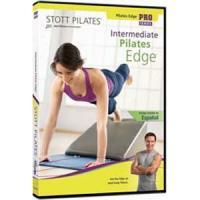 Layered with modifications suitable for instructors and fitness professionals as well as novice and advanced exercisers, this workout also illustrates the Five Basic Principles – the core elements of the STOTT PILATES method. 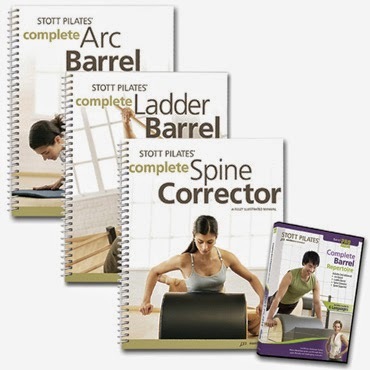 Build on your strength and exercise knowledge with the next level of total-body conditioning. 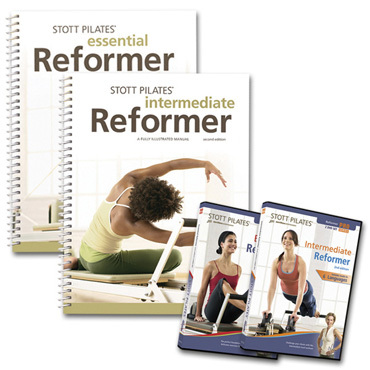 After mastering the essential repertoire, take your knowledge and body to the next level with a more challenging Mat-based workout. Designed for personal trainers, group instructors and avid exercisers, this program moves at a faster pace and adds another dimension to your skill level. 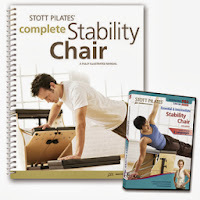 Master Instructor Trainer Moira Merrithew presents a series of exercises that continue to build strength and muscle tone while finessing balance, coordination and mobility for maximum results. 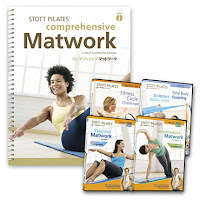 DVD - Advanced Matwork, 3rd Ed. 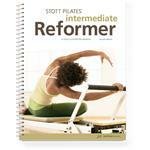 Refine your skills and achieve optimal fitness with a high-intensity precision workout that energizes and empowers. 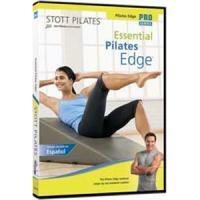 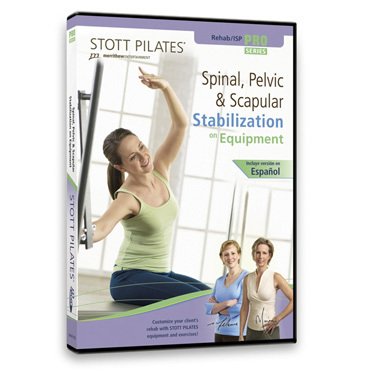 Achieve many of the benefits of light resistance training using the STOTT PILATES® Flex-Band® exerciser. 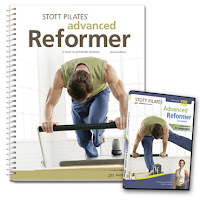 Sculpt and tone your body in this workout that simulates many of the exercises normally performed on a STOTT PILATES Reformer. 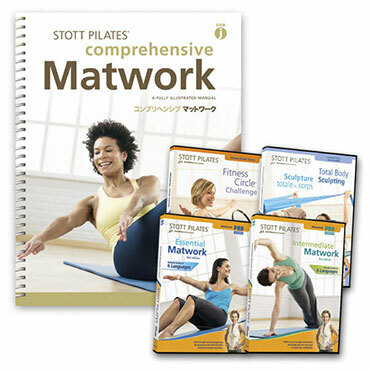 Master Instructor Trainer, Moira Merrithew shows you a unique way to add variety, intensity and fun to your Matwork routine. Ideal for home use or group exercise and full of ideas for fitness instructors. 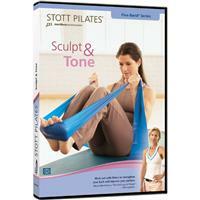 Tone arms, legs and abs with a challenging workout that gets results. 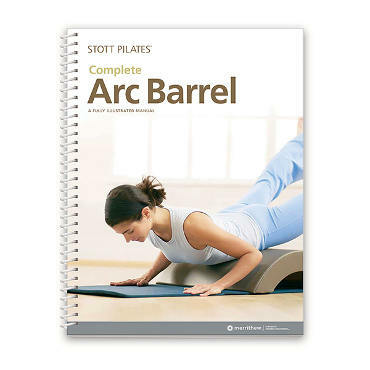 Offering increased intensity, this Fitness Circle® workout takes it up a notch. Adding resistance and focus to both upper and lower body moves, this invigorating routine will leave you feeling stretched and toned. Master Instructor Trainer Moira Merrithew shows you how to put this versatile resistance ring through its paces. 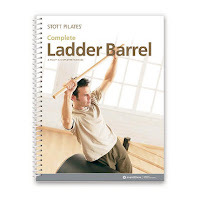 It'll challenge your strength, flexibility and endurance, developing the core stability that is vital for optimal fitness. 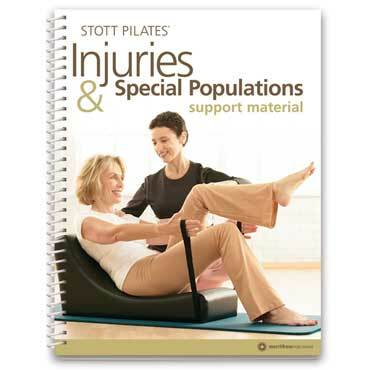 This workout adds a new level of support and assistance to many of the standard Essential Matwork exercises. 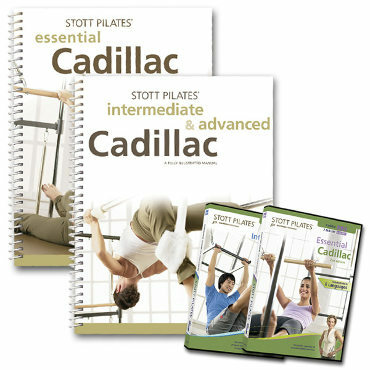 The Pilates Edge™ utilizes many positions to take advantage of the foam triangle’s increasing height to expand workout options for a wide variety of clients. 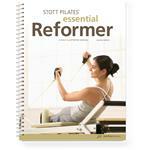 Build a strong foundation for your clients with this third edition Essential Reformer program. 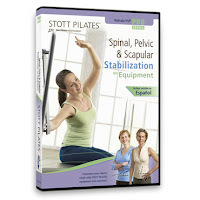 Use STOTT PILATES® equipment with spring resistance to help tone, strengthen arms, legs and focus on torso stability. 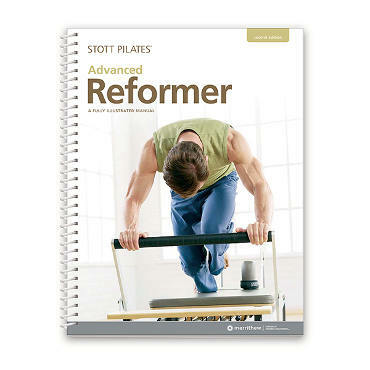 These Essential-level Reformer exercises will put your clients on the right track to aligning and balancing their entire body. 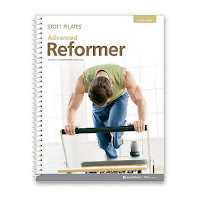 The V2 Max Plus Reformer Provides a versitile workout that emulates the body's free, mulit-dimensional movement of daily life. 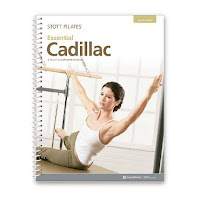 Master Instructor Trainers Moira Merrithew and PJ O'Clair demonstrate how to build a tailor-made repertoire - suitable for anyone from post-rehab patients to elite athletes - including Mat, Reformer and Cadillac exercises for limitless possibilities. Master Instructor Trainers Moira Merrithew and Melanie Byford-Young will demonstrate the most appropriate exercises for various rehabilitation needs. 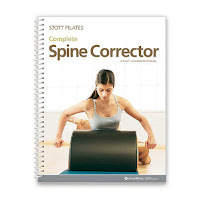 You will develop your client’s spinal, pelvic, and scapular stability while working on muscle recruitment. 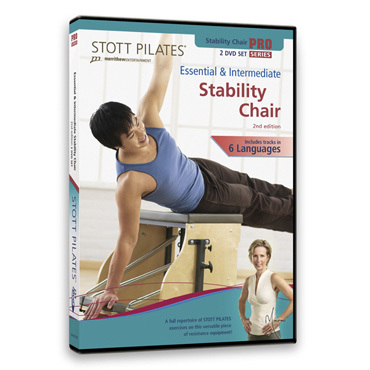 This functional repertoire offers exercise options in sitting, standing and kneeling positions and allows for deep specificity for particular joint and muscle groups. Perfect for building strength and enhancing the mind-body connection, the Essential & Intermediate Stability Chair™ DVD will help rebalance muscles and provide a full-body routine. This Essential- and Intermediate-level workout utilizes the Stability Chair™, Reformer Box and Platform Extender to improve strength and endurance, enhance coordination and balance, and explore movements on various planes.